Mod roundels, striped squares and abstract geometric motifs are combined in a delightful clustered composition that makes this modern, vintage Rya warm and inviting. 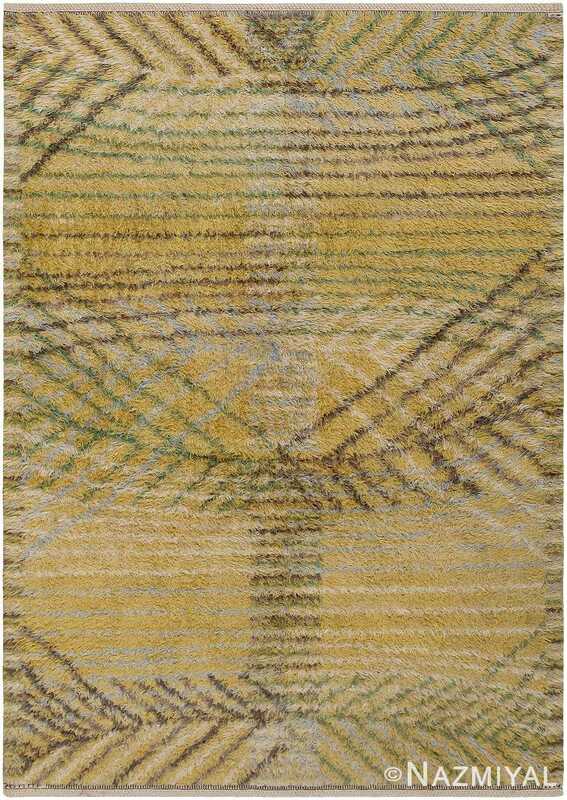 Vintage Scandinavian Rya Rug, Origin: Scandinavia, Circa: Mid 20th Century – Here is a delightful vintage carpet – a mid-century Rya rug, woven in Scandinavia during the middle decades of the twentieth century. 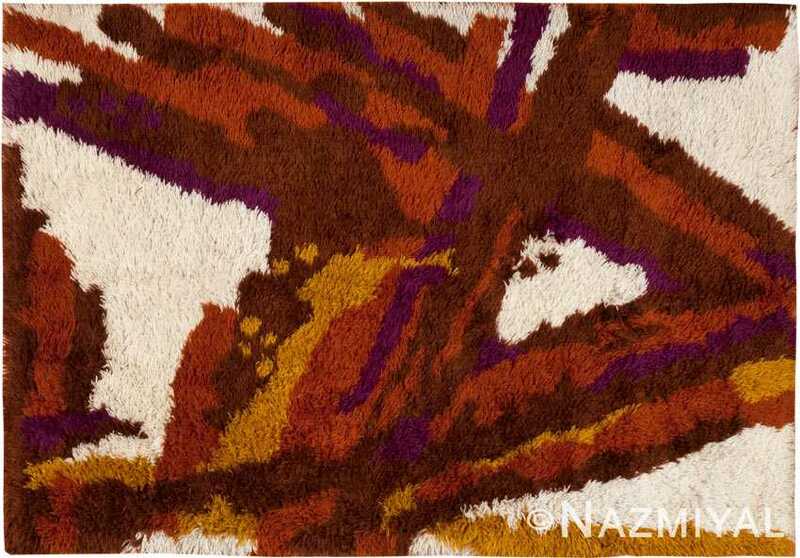 Rugs woven in this region during this time are especially popular, prized for their wonderful marriage of traditional and modern aesthetic values. This charming vintage carpet features an experimental central pattern rendered in a selection of cheerful low-contrast colors. Voided roundels set in a formal grid and striped panels set over a subtly variegated background create a charming clustered composition with borderless edges. 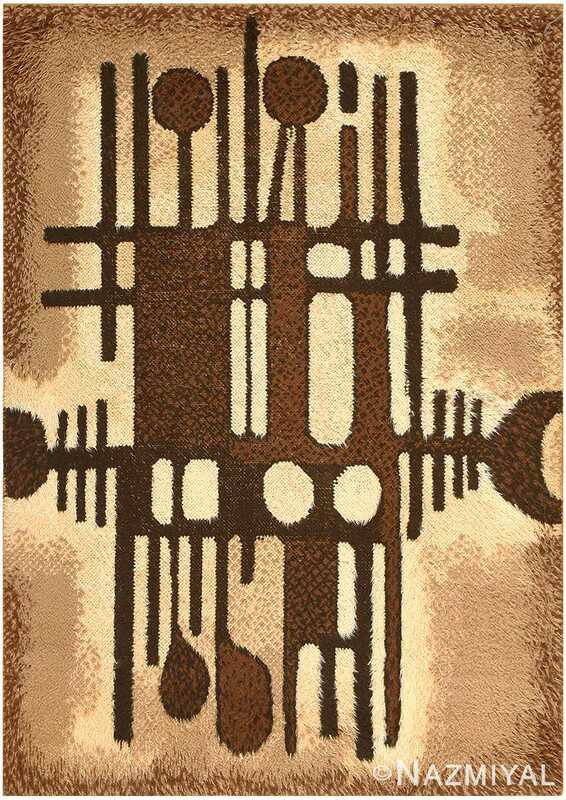 Undeniably modern, this delightful mid-century Rya features a conglomeration of abstract geometric motifs and symbols rendered in a warm color palette that includes snowy white, mustard yellow and soft sable brown. 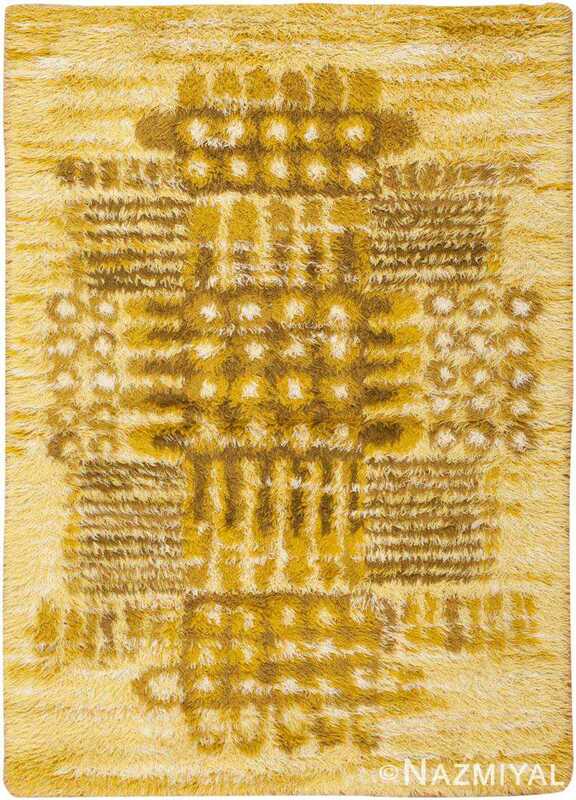 The subtly patterned background is decorated with a series of delicate tiger stripes rendered in a combination of white and citrine yellow. Decorated with familiar geometric shapes and warm colors, this mid-century Scandinavian Rya makes a strong statement while remaining exceptionally warm and inviting.